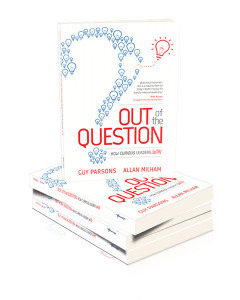 Out of the Question: How Curious Leader Win offers a new mindset and a practical approach to thriving in the firestorm of change facing today’s leaders. Existing businesses and business models are facing disruption at all levels. Our younger employees are not satisfied with just a “job” but rather want work that allows them to be involved and included in decisions or they will walk. Leaders of teams who, in the past, could lead through command and control are finding themselves unable to keep up with the pace of change and the expanding challenges of engaging their talent.